Mercury 20 HP - With models ranging from 30hp to 2.5hp, the Mercury FourStroke Portable are suited to everything from small inflatables to aluminium dinghies and punts. 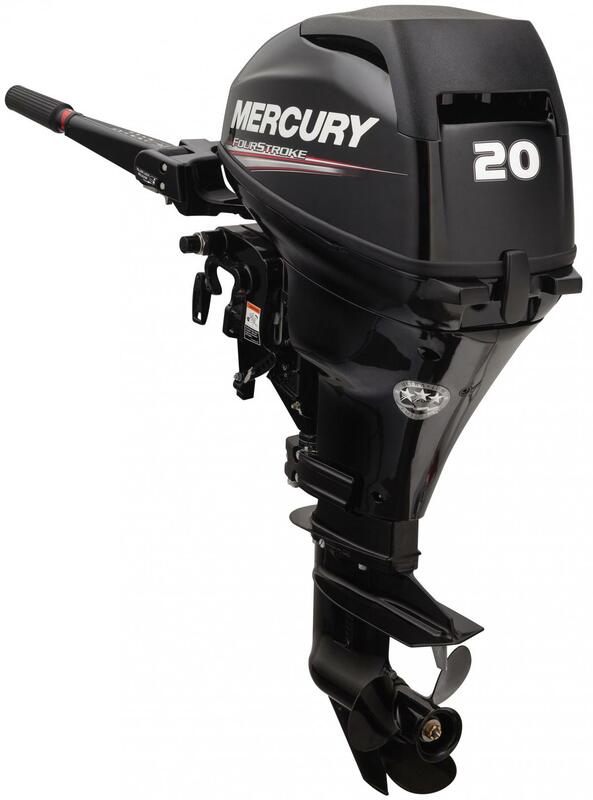 Mercury's FourStroke Portables are designed with leading edge features for enhanced reliability and performance. Like trouble-free starting thanks to a fast idle and fuel primer system. So every engine in the range runs smoother for longer. We've even added noise-reducing cowls, air intake silencers and through prop exhausts for even cleaner and quieter operation.